You can contribute your thoughts like Joan here. I don’t know about you, but they are quite substantial amounts to save on for me. Moreover, this is just one example. I’m sure there are many more areas that could be saved on, and who knows, these savings could just go into your future housing, car and/or investment funds. For those who have yet to start earning an income and be weighed down by financial obligations, this may not seem to be a big problem; but as for all good habits, it is always better to start young/early. As we enter the corporate world, our income would increase, perhaps accompanied by the application of more credit cards, and spend on higher value items. It will significantly increase the chances of overspending if we do not have a clear idea of how much we can afford and what we are buying. Not only does spending beyond our means increase our financial burden, but it may also jeopardise our credit standing if we fail to repay our debts. This may have a large impact in the future when we are required to count on loans to finance any opportunities or needs. In relation to the previous point, having a clear awareness of financial positions can enable us to make swift and wise financial decisions. Opportunities can come by anytime with a short expiration date. To be abreast of your financial abilities and liabilities can assist you in making critical decisions and capitalise on available opportunities. In a volatile economy, you will always be ready to ride the rising trend when it comes. After all that had been said, it is time for you to start taking charge of your finances. Every skilful captain needs a capable aide, and one is waiting for you in your nearby app store. Take a look at Seedly, your user-friendly financial organiser, and start your collaboration today! Seedly helps to monitor your personal expenses through a convenient mobile app, tracking your spending habits. This includes your transactions for investments. We currently serve over 8,000 users and growing in Singapore and are supported by NUS Enterprise, TOP 9 DBS HOTSPOT startup and East Ventures. 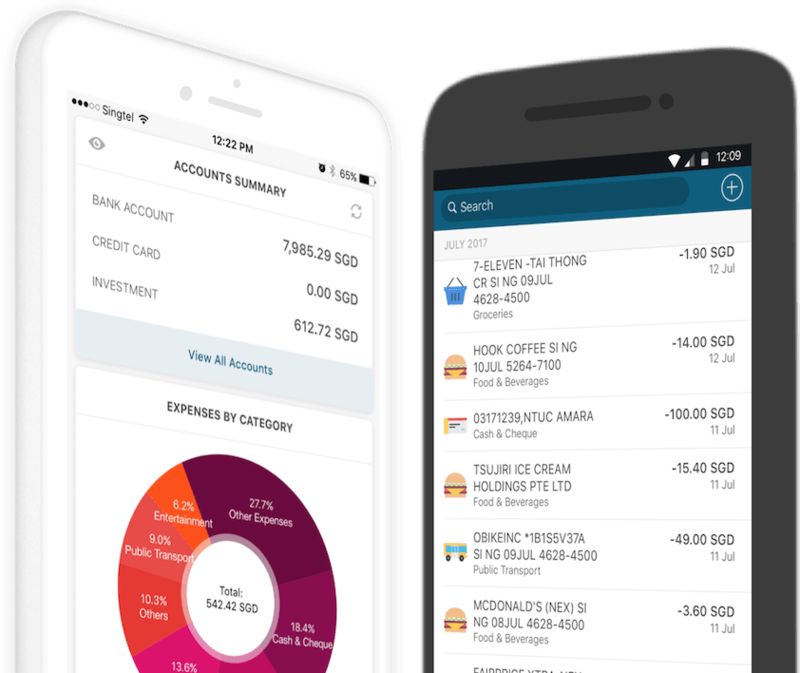 We aim to become the #1 personal finance management app in Singapore and the region.